Researchers report that vaping may modify the genetic material, or DNA, in the oral cells of users, which could increase their cancer risk. But the long-term effects of e-cigarette usage, commonly called “vaping,” are unknown. The popularity of electronic cigarettes continues to grow worldwide, as many people view them as a safer alternative to smoking. Introduced to the market in 2004, e-cigarettes are handheld electronic devices that heat a liquid, usually containing nicotine, into an aerosol that the user inhales. Different flavors of liquids are available, including many that appeal to youth, such as fruit, chocolate and candy. According to a 2016 report by the U.S. Surgeon General, 13.5 percent of middle school students, 37.7 percent of high school students and 35.8 percent of young adults (18 to 24 years of age) have used e-cigarettes, compared with 16.4 percent of older adults (25 years and up). To characterize chemical exposures during vaping, the researchers recruited five e-cigarette users. They collected saliva samples before and after a 15-minute vaping session and analyzed the samples for chemicals that are known to damage DNA. To evaluate possible long-term effects of vaping, the team assessed DNA damage in the cells of the volunteers’ mouths. The researchers used mass-spectrometry-based methods they had developed previously for a different study in which they evaluated oral DNA damage caused by alcohol consumption. 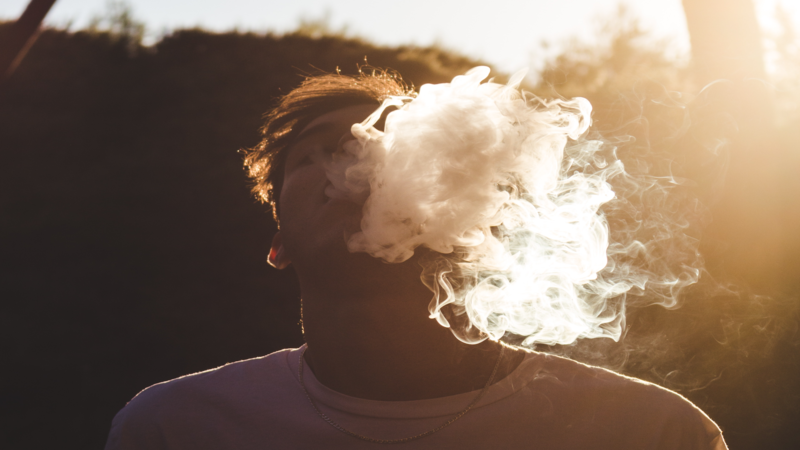 Dator and Balbo identified three DNA-damaging compounds, formaldehyde, acrolein and methylglyoxal, whose levels increased in the saliva after vaping. Compared with people who don’t vape, four of the five e-cigarette users showed increased DNA damage related to acrolein exposure. The type of damage, called a DNA adduct, occurs when toxic chemicals, such as acrolein, react with DNA. If the cell does not repair the damage so that normal DNA replication can take place, cancer could result.